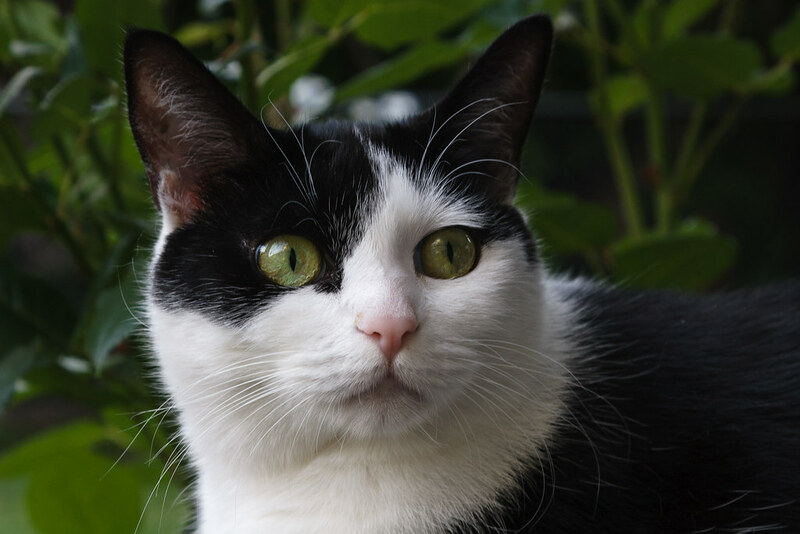 I took Scout to our vet yesterday to get her left eye looked at, the same eye that bothered her earlier in the year. Scout is pretty shy and hid under the blanket in her carrier, but once in the examination room she turned on the charm and all were sorry to see her go. As suspected earlier in the year, it looks like she has a viral infection that will come and go, she gets the eyedrops from before that prevent a bacterial infection and also a new gel to minimize the effects of the virus. The gel is given orally and is described as “a highly palatable gel”. At least she would if she were talking to me. It’s hard not to be jealous of how well-adapted some animals are to their environment. 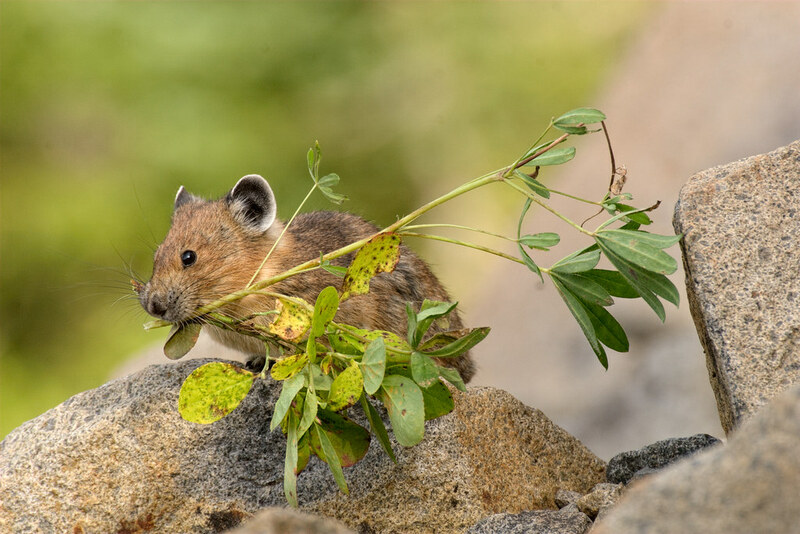 It was a little humbling to watch these tiny little pikas sprinting across the talus field with plants in their mouths. I don’t think I’d be quite so quick if I had to drag several 12 foot tall trees in my mouth as I ran across a boulder field with rocks as big as a school bus. 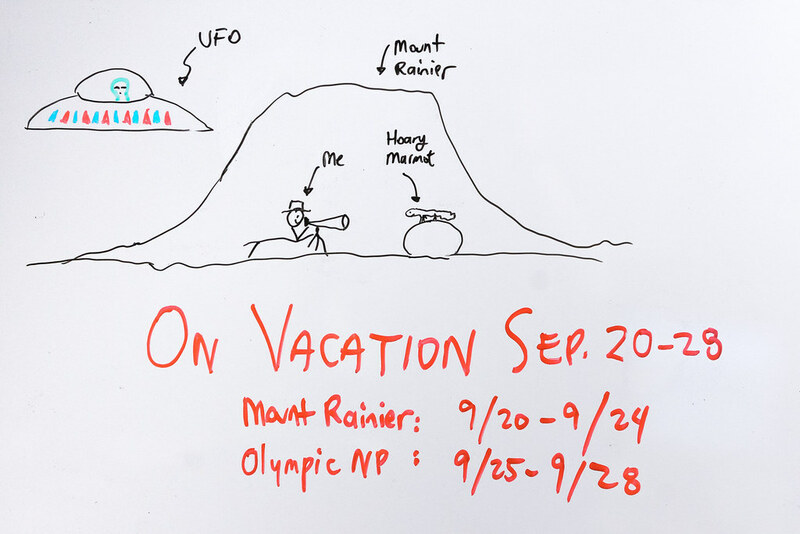 My whiteboard art doesn’t seem to be getting better from year to year, although I am making increasing use of color. I’m hoping that my art form (known as stickism) will catch on and I can start paying for my meals by signing napkins like Picasso. Remind Me Why I’m Not Hibernating Yet? The higher elevations in the Sunrise area of Mount Rainier got a light dusting of snow on the morning of my last day there but it melted when the sun rose. After hiking a bit on the Sourdough Ridge Trail early in the day hoping to see marmots, pikas, or grouse (and not seeing any), I went a little lower in elevation to the trailhead of the Summerland Trail. The trail is an uphill march mostly through a forest before you pop out into a mountain meadow at the very end of the trail, I chose it since there was a chance of seeing hoary marmots and elk in the meadow (the mountain views from the meadow are also spectacular and make up for the lack of views in the forest). I didn’t see any elk but I did see a few marmots when I first entered the talus field. 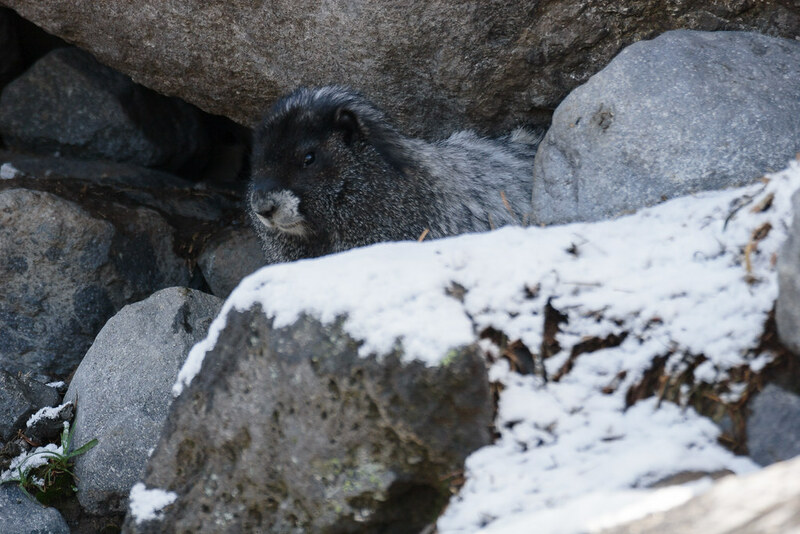 The afternoon sun didn’t make for good light for pictures but this marmot was shadowed by rocks where the snow hadn’t melted. I followed the trail through the rocks and saw more and more marmots until I realized just how large the colony is at the end of the trail, this was by far the largest marmot colony of any species I’ve come across. 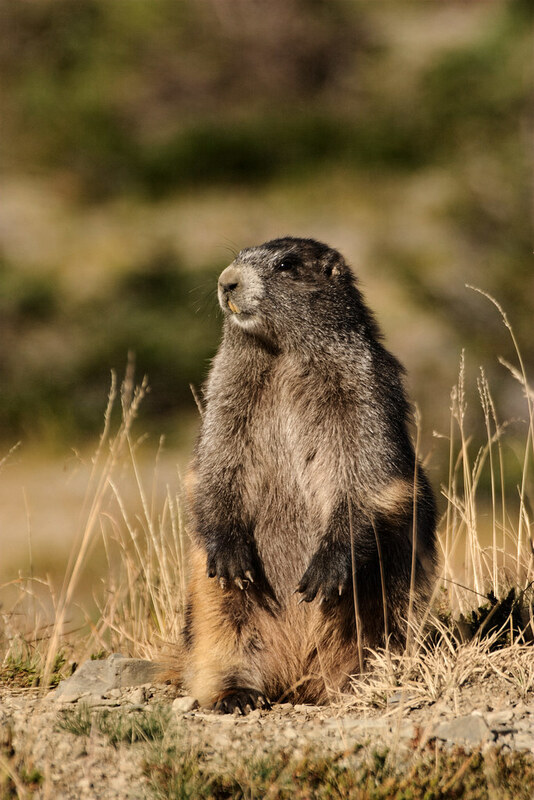 I spent the rest of the afternoon watching the marmots as at least one was usually close to the trail, taking advantage of every passing cloud to improve the light. I had thoughts about staying until sunset but I still had a long hike back down and while I had my headlamp, I was hiking alone and didn’t want to risk it. When the marmots that had been near the trail were no longer around, I took that as my cue and headed back down the trail. 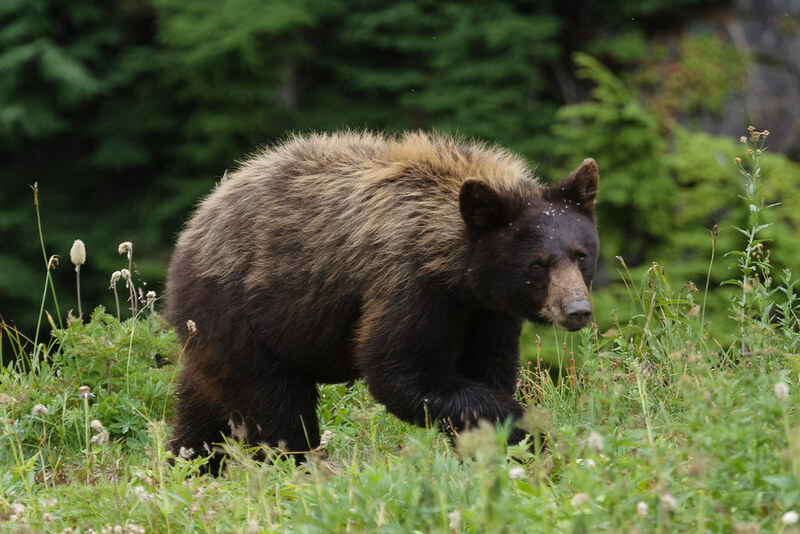 Some day I’m going to stop posting pictures of this bear, but today is not that … no actually I think today is that day. Watching the bear in person it was pretty obvious that it was young, I’m no expert on bears but it clearly was at least a year old but not yet a full adult. Looking through my pictures sometimes it appears younger to me and sometimes older, a furry changeling, but I just love its fur coat of many colors. I found this Olympic marmot colony in the afternoon and hoped to photograph them in better light later in the day, but unfortunately they weren’t around when I came back in the evening. This marmot in multiple shades of brown gave a nice view of its paws. 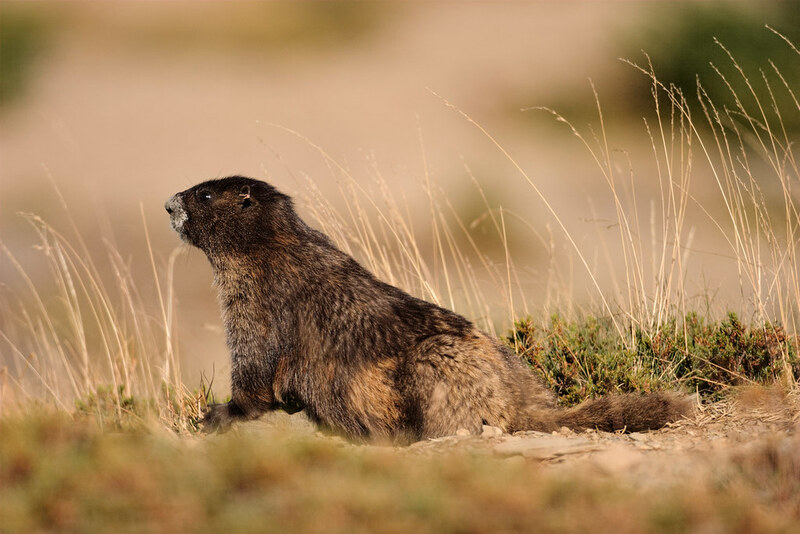 I saw at least four species for the first time on my Washington trip, three of them mammals and two of them marmots. In addition to the hoary marmots I saw at Mount Rainier, I was lucky enough to see Olympic marmots in Olympic National Park, one of the species that is unique to the peninsula. I expected to see them in rock formations along the trails in the Grand and Badger Valleys but neither saw or heard them. 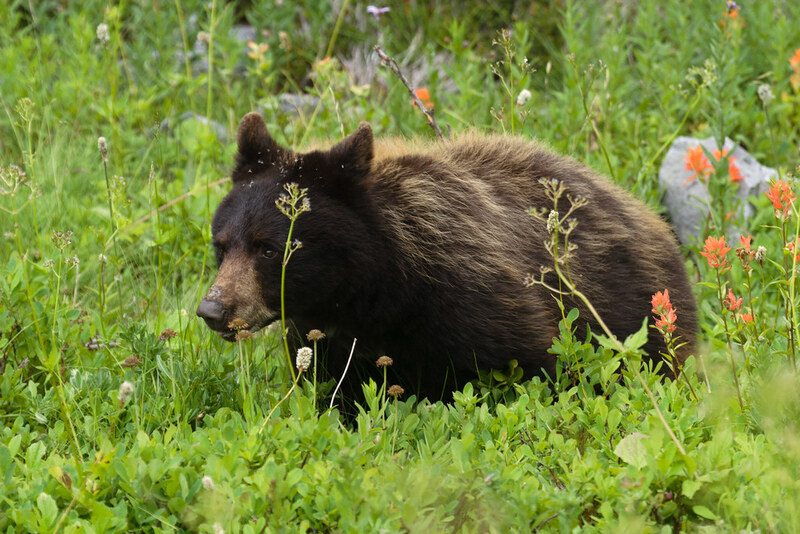 I did see a couple on the road between Obstruction Point and Hurricane Ridge, I would have missed them if a friend hadn’t seen them there on an earlier visit. The road is quite narrow with occasional steep dropoffs and made me more nervous than any of the trails I hiked, but in this particular location there was enough room to park on one side of the road and be clearly visible to traffic from both directions.